When it comes to email marketing mistakes, there’s no shortage of possible pitfalls to ruin your business. Your email list has incredible earning potential, but you have to treat it with care. Sending out emails haphazardly will ruin your chances at turning those emails into profits. So here are the 6 mistakes most people make with their email marketing, and how you can fix them today. No one likes to feel like they’re being sold to. If every email you send to your readers is a sales pitch, they’ll quickly learn to ignore you. Even if they haven’t unsubscribed, they’ll “mentally unsubscribe,” throwing away every email you send without even reading the subject lines. That leads us to mistake #2. 2. You’re not offering value. Mistakes 1 and 2 go hand-in-hand. People want to read emails that improve their daily lives. By offering value in your emails, you can be sure that more of your emails will actually be read. As a rule of thumb, you want to send out at least 2 valuable emails for every 1 sales pitch. That means offering free advice, interesting content, or even a funny story to spice up their day. 3. You ramble at the beginning. If the answer is no, cut it out. People would much rather skip to the juicy parts of your email, and it will give them the impression that being on your email list is a gift. 4. You’re treating your email list like a get-rich-quick scheme. The real benefit of email marketing is that you have the opportunity for a long-term conversation with your readers. Too often, people try to turn their email lists into sales on short notice. But if you’re willing to work at it, you can transform your email list into a reliable, steady source of income. 5. You’re not testing different subject lines. Different subject line strategies will work with different demographics. Here are a few basic strategies you should try out and test with your own list. Value promise. Get to the point. “Learn the 3 best ways to grow your business today. 6. You’re focusing on your least important readers. In a perfect world, 100% of your email list would convert to customers. In reality, you’ll be lucky to get 20% of that email list to buy from you. Don’t spend all your time worrying about the 80% of your customers that you have trouble converting, and instead, focus on the needs of your loyal customers. 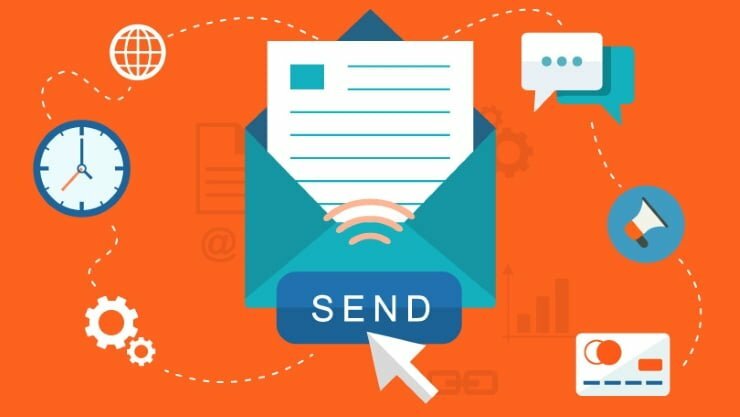 To get more insight into powerful email marketing strategies, simply contact us today.